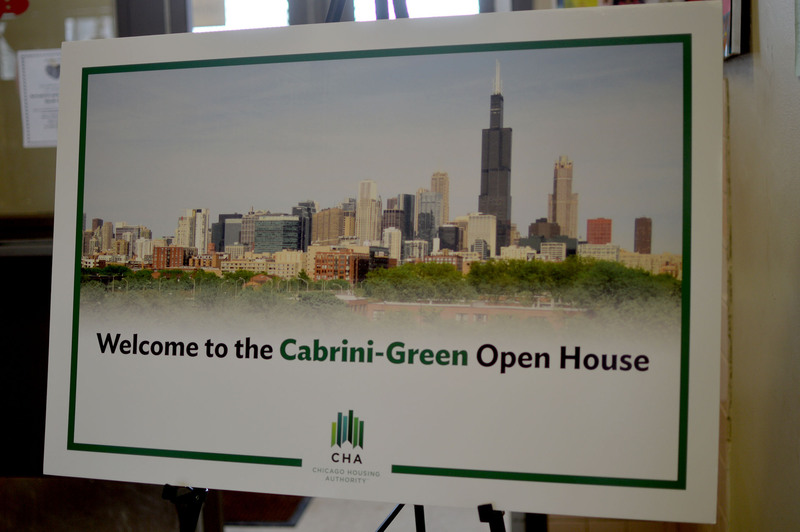 Last week, the Chicago Housing Authority held two well-attended open house events to showcase proposed redevelopment planning in the area formerly occupied by Cabrini-Green public housing high-rises. 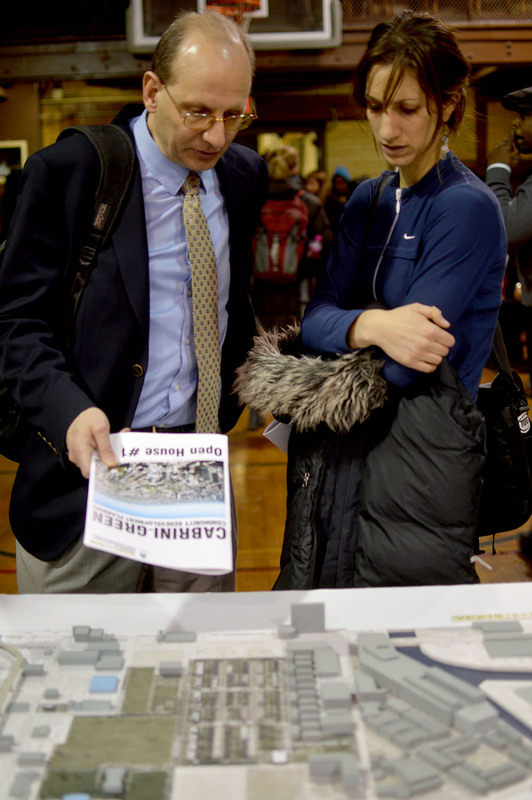 Set up in the Seward Park pavilion, the open houses invited visitors to scope out posters displaying images and maps of proposed road changes, commercial development, residential zoning and plans for green spaces. In the spring, the CHA will put out a request for proposals to developers, who are supposed to look to these suggestions, and input from the community, to vie for contracts to build on the authority’s land. Today, the Near North Side is a rapidly gentrifying area, largely due to the CHA’s demolition of its high-rises and the development of mixed-income housing where a third of units are sold at market rates, a third are affordable (for those receiving tax credits for rent), and a third reserved for public housing tenants. While the neighborhood has certainly become safer and more attractive through this transformation over the past 20 years, the influx of higher-income residents has come with an influx of demands to continue “cleaning up” the area. The last remaining enclave of public housing in Near North, and the desired target of clean up for some, is the Frances Cabrini Rowhouses. Built in the early 1940s, the 583-unit complex of two- and three-story buildings now stands mostly vacant in the area bordered by Chicago Avenue on the South, N. Larrabee Street on the West, Oak Street on the North, N. Hudson Avenue on the East. Back in 2000, at the start of the Plan for Transformation, the CHA promised to conserve and rehabilitate all of the Cabrini Rowhouses as 100 percent public housing. The buildings were structurally sound, low rise and the apartments could accommodation larger families. The agency began moving families out in preparation for the rehab, and the first phase of 146 units was completed a couple of years ago. However, in 2009 the CHA announced that it no longer planned to retain the rest of the Rowhouses as 100 percent public housing and that the buildings would be demolished in favor of a new, mixed-income community. This is why last May the Cabrini-Green LAC filed a lawsuit against the CHA to force the agency to stick to its original rehabilitation plans. The LAC claims that turning the Rowhouses into a mixed-income development would be a violation of the Fair Housing Act which requires housing authorities to “affirmatively further” fair housing. 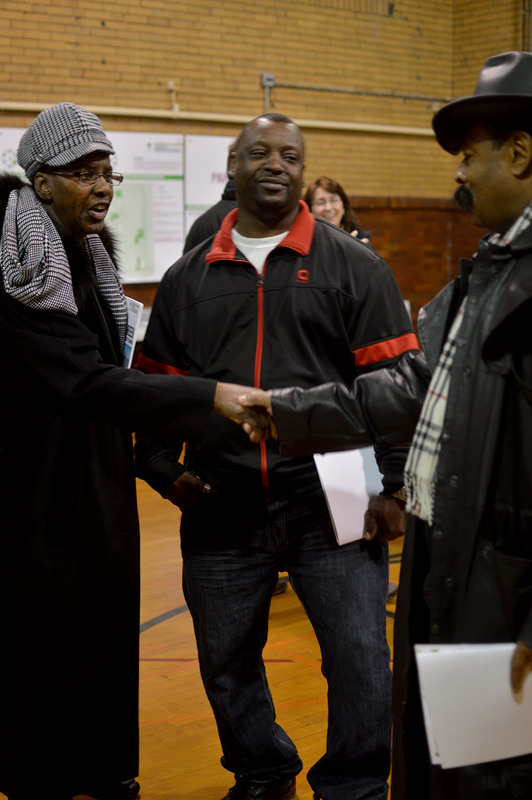 Of the 3,600 public housing units originally located in Cabrini-Green only around 400 units have returned to the select few in mixed income developments. Most of the relocated tenants ended up in poor, segregated areas of the city with Section 8 vouchers. The Rowhouse residents believe the same fate awaits most of them if the CHA is allowed to move forward with its plans. 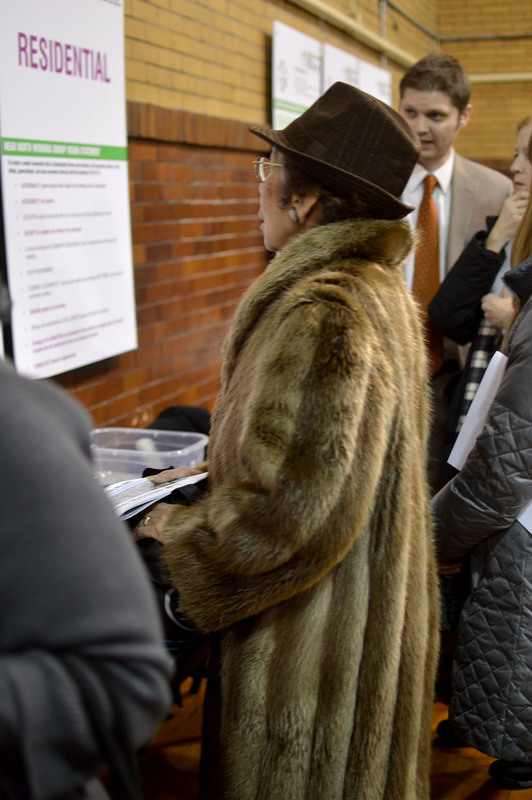 Yet at the open houses on Tuesday and Saturday, the images showing the Rowhouse area zoned for mixed-income development and maps proposing various street extensions made it seem as though the CHA’s new plans are set in stone. Though no one knows what a mixed-income development on the Rowhouse site will look like or how many units it will have, the CHA sent a clear message that its program was advancing. 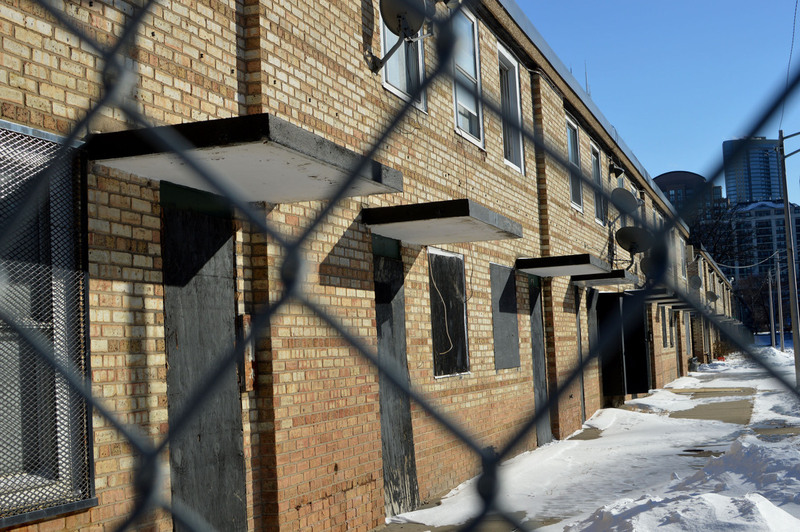 As is typical with Chicago public housing issues, the question of the Rowhouses will likely take many more months to resolve in court and in planning groups. Meanwhile, viable public housing units will continue to stand empty in the shadow of the Gold Coast skyline as hundreds of families languish in limbo, waiting to return home to Near North.